Pho Empire is a medium-sized, fast-casual dining restaurant, located in a prime neighborhood of Irving, Texas. We serve the popular Vietnamese noodle soup, rice, and rice vermicelli that come with fresh vegetables to give the customers very healthy dishes. Our main focus is based on customer service, quality, and integrity. We believe that the customers are our guests and deserve prompt, friendly, and courteous service. We want our guests to come with great expectations and leave with satisfaction. At Pho Empire, we use only top-quality ingredients in all our products. It?s a combination of old and new recipes to achieve modern Vietnamese cuisine with classic quality at our restaurant. We provide delicious one-dish meals for your breakfast, lunch, or even dinner to ensure that the busy professional eats as well as the rest. You will be served a bowl of light-bodied broth ladled over your choices of beef or chicken, accompanied by fresh rice noodle and garnished with cilantro and onions. Basil, coriander, bean sprouts, and green peppers are also optional to your liking. Our menu features rice and vermicelli, available with several topping choices. Our authentic specialties are spring rolls, egg rolls, grilled chicken lemon grass, charbroiled shrimp, and BBQ pork, which come with steam rice or rice vermicelli and fresh vegetables. Along with our wonderful dishes, you will find sautéed vegetables with chicken, shrimp, or beef. 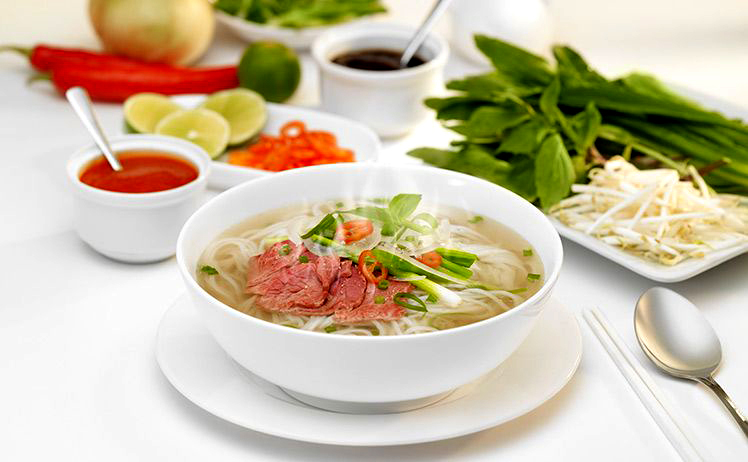 Pho Empire naturally flavored, low-calorie, delicious soups with the choicest meat to give the customers a complete nutritious and well-balanced meal. Pho Empire is the place to know about Vietnamese cuisine, and the place you will experience how Pho should taste at its best.